In my role as a Director of Professional Learning, I support many district and school leaders with transitioning into instructional leadership roles, so they may better support mathematics educators in their schools. Leadership support is crucial for teachers as well as their students, not only for promoting student-centered learning, but also in addressing and incorporating new standards and practices. Preparing, organizing, and implementing new criteria can be overwhelming. I help math educators balance math concepts and procedural fluency, adopt new strategies to increase their students’ mathematical thinking, and most importantly, establish math instructional goals. In the last few years of doing this work, I have found certain actions to be essential in the development of successful instructional leaders. Just as my diet does not work without a plan, transforming instruction does not work without establishing 2-3 priorities that are needed to increase student achievement. To help identify priorities, I observe mathematics instruction with district and school leaders so that we have some idea about what’s going on in classrooms. It’s important to prioritize time in the classroom and see math instruction in action, just as we schedule assemblies and school emergency drills. If this classroom time isn’t on a principal’s calendar, it most likely won’t happen because of all of the other daily activities at school. After collecting observation data, I sit down with school leaders and discuss trends we are seeing across the school and in specific grade levels. Questions I ask include: “What did you notice about the discourse? Who was doing the math? What evidence of student learning did you observe?” After we discuss the trends in the observation data, we establish 2-3 priorities for mathematics instruction and focus on identifying specific goals that will accomplish the priorities. When instructional leaders have identified their district/school goals and priorities, I help them identify what to look for in an effective math classroom. Since experience is the best teacher, I encourage instructional leaders to engage in mathematics professional learning so that they can be in the role of a learner and identify the conditions needed to make sense of math. As they participate in professional learning, instructional leaders engage in mathematical experiences and reveal that they can make sense of the mathematics using multiple learning experiences, social interaction, and hands-on learning. Instructional leaders use their professional learning experiences to identify these conditions, support teachers’ instructional practice, and implement these conditions in their classrooms. Instructional leaders can nurture instructional practice by supporting their teachers with research-based best practices such as number talks, 3-act problems, and math menus. It is critical that instructional leaders visit classrooms often to see how teachers are implementing instructional practices they learned from professional development or PLCs. I put classroom visits on my weekly calendar to ensure that I could see how students were engaging in discourse and rigorous tasks. I would then schedule informal follow-up conversations to reflect with the teachers about the lessons and how the instructional practice supported their students’ mathematical thinking and reasoning. These instructional conversations supported the teachers’ capacity and helped me build relationships with them and their students. How is district leadership supporting math instruction in your school? Share with us in the comments! If you have questions about what to look for in mathematics classrooms or how to support your mathematics teachers, contact us to discuss professional learning courses, leadership coaching, or needs assessments for your schools/districts. 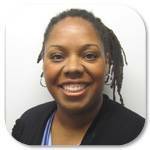 Le’Vada Gray is a Director of Professional Learning for Math Solutions. In her role, she designs and provides professional development in K–8th grades, site-based coaching, and e-coaching to classroom teachers, district-level administrators, and school-based math leadership teams across the country.